Install the plugin. Go to Dashboard > Simple FAQs > Add new. 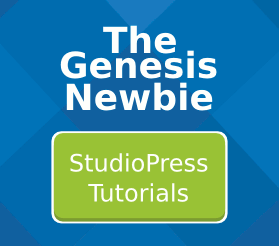 Then use this shortcode [gs_faq] to display the FAQs. 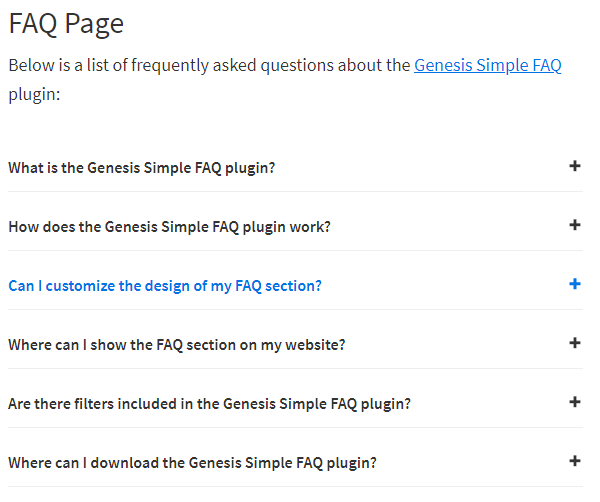 This is what the Genesis FAQ looks like using the sample theme. The styling will be different depending on the specific theme you use. Making a single FAQ question and answer is a similar process to making a blog post. So to make a list of 5 questions, you’ll make 5 independant FAQs. 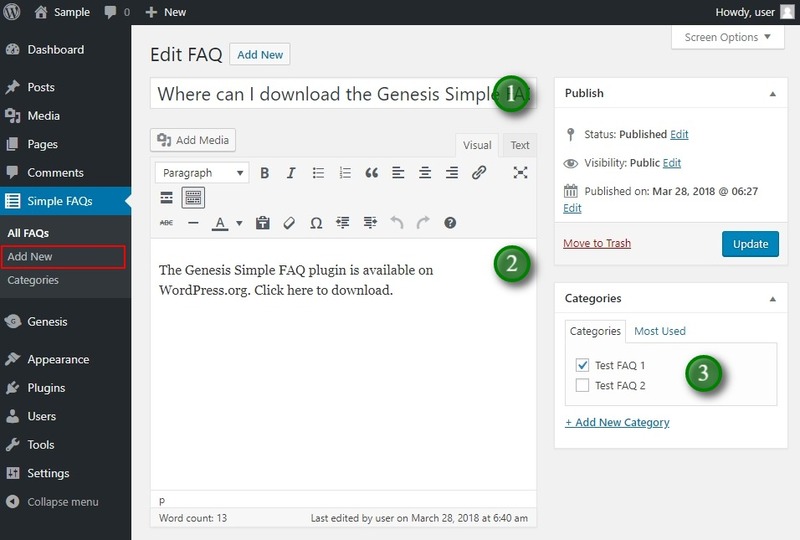 After you install the Genesis Simple FAQs plugin, you’ll see a new Simple FAQs tab in the Dashboard. 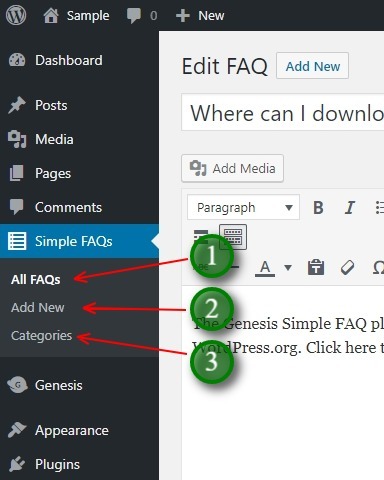 Faq categories are independent of your main WordPress post categories. Although you display FAQs in what appears to be a list or stack, you make each FAQ question individually, as if it was a tiny blog post. Each FAQ has the same formatting and image options as a blog post. If you want to display more than one FAQ list on your site, organise your FAQ questions into FAQ categories. This makes building FAQ lists much easier.